Ryan Newbauer is the owner and primary instructor of Piano Lessons 123. He founded Piano Lessons 123 in 2014 as a means to bring music back to his community. Starting at a young age, Ryan had become quite infatuated with the piano. After several years of curiosity, he decided it was time to investigate. It was at this point that Ryan began lessons at the Patricia Gorman Piano Studio. Mr. Newbauer studied with Patricia Gorman for two years, during which he had rapidly developed the fundamentals of the instrument. 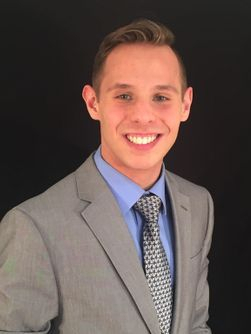 Following his two years of study with Mrs. Gorman, Ryan began lessons at the prestigious David Hochstein Memorial School of Music and Dance in Rochester, NY. For one year, he studied with pianist, Dr. Willie LaFavor. As a classically trained musician, Dr. LaFavor intended for Ryan to learn Classical and Romantic Era music; however, Ryan's passion was quite different. Over Ryan's years of study, he had grown fond of modern era music, specifically, that which fused Jazz and Classical styles. Ryan's style became a unique amalgamation of Classical, Jazz and Ragtime piano. Ryan Newbauer is a pianist of ten years, in which the past seven years he has studied privately and has performed at innumerable venues. Ryan had been a member of the Hilton Winter Drumline from 2011 to 2014, in which the group was declared Winter Guard International World Champions of the PSA division, in the 2013 season. Ryan opened the Hilton Evening of Jazz for three consecutive years from 2013 to 2015, which features the Rochester All-star Big Band. Each year, the big band was led by a different guest artist, and he had been given the honor to open the show for Tom Politzer and Mic Gillette of Tower of Power, five time Grammy winner, Wycliffe Gordon, and professor Jon Faddis. Ryan is now an undergraduate student at the University of Rochester. He is a member of the class of 2019, and is working to satisfy the premed curriculum. Ryan has declared his major to be a Bachelor of Arts in Chemistry, with minors in Music, Psychology and Biology. His interest and study of music theory and music history at the collegiate level is often depicted by his enthusiasm in the classroom. As a teacher, Ryan has taught students of all ages, levels, and demographics. From young children to adolescents to late adults, Ryan has developed a teaching style unique to the individual differences of each and every student. Ryan has been teaching piano and music theory for four years. Additionally, Ryan has been a teaching assistant for the University of Rochester Chemistry Department for the past two years, teaching chemistry lab sections of greater than twenty-four students. Take a free piano lesson with Ryan Newbauer, and you'll be hooked.